The best player of the team and the only one who had played basketball before. It does not take long for Subaru to find great potential in her, and thanks to her talent and dedication he decides to keep coaching them. She was not in Keishin Academy for long, in her previous school, she got obsessed with winning in basketball that she became isolated and was forced to transfer school. In Keishin Academy, she found new friends and realized that winning is not everything. 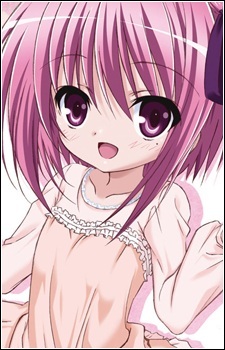 Despite the fact that she still loves basketball, Tomoka is not willing to play without having her friends with her. Of all the girls, Tomoka is the one who gets closer to Subaru and seems to be the one who likes him most. Tomoka's playing style is popularly known as the "point forward", due to her ability to play multiple positions, although she has difficulties playing point guard effectively because she is too polite towards her teammates and worries too much about making mistakes in running the play. With Saki moved up to the point guard position, Tomoka can now focus better on offense since she simply needs to attack the defense because Saki does all the thinking. Plenty of anime girls have beautiful long hairstyles. But what about their short-locked sisters? Short hair is just as cute on anime girls, as the following list proves. Here are some of the best short-haired girls in anime!